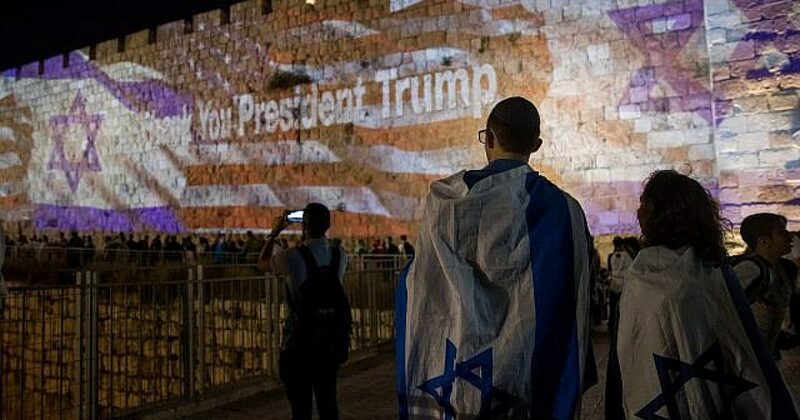 Guess how many Democrats showed up in Israel for the grand opening of the US embassy in Jerusalem. Shameful! So, there was a grand grand opening of the US Embassy in Jerusalem. Many Israeli and American dignitaries were on hand to join in the celebration, including several members of Congress. Care to venture a guess at how many Democrats were on hand to mark this historic event? If you guessed five, you are over. If you guessed three, you are over. In fact, if you guessed one, you are over. That’s right, nary a Democrat bothered to show up. Not one! None. Nada. Niente. Zip. Zilch. Zefuckinro! Care to venture a guess why the entire left side of the aisle was a no-show? Because they would rather drag their miserable asses through ten miles of broken glass than do anything, ANYTHING, to appear favorable of the one president in modern history who kept his promise to move the US embassy to Jerusalem, Donald Trump. So, the Democrats, you know, the loving, accepting, tolerant party, the founding party of the Ku Klux Klan and Jim Crow, the party that voted against civil rights, the party that promises to punish Americans by raising their taxes and repealing the historic Trump tax cuts that have caused the US economy to be in its current due north runaway mode, yeah, THAT bunch of miserable, butthurt crybabies sent not a single representative to Jerusalem to attend this historic event. So, what will the Democrats do for an encore? Perform a late-term abortion on the House floor? Hours before the official inauguration of the US embassy in Jerusalem, controversy erupted over the fact that not a single Democratic congressman was scheduled to attend the festive event. Two senior US senators from the Republican party expressed deep regret that none of their colleagues from the other side of the aisle chose to attend the ceremony. One of them blamed former president Barack Obama for the ostensible crack in the traditional bipartisan nature of the US support for Israel. “That is a sad, sad manifestation. 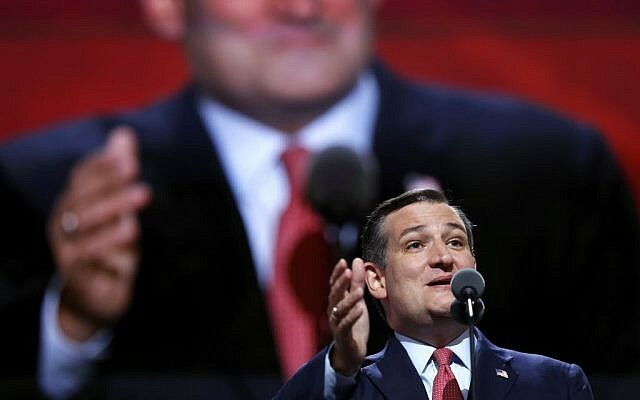 I wish he’d have every member of Congress here,” Texas Senator Ted Cruz said Monday morning in Jerusalem. Cruz is currently in Israel as member of a delegation of four US senators — all from the GOP. South Carolina Senator Lindsey Graham said he personally invited some Democrats to join the delegation, but indicated that none heeded his call. He also expressed disappointment over the fact that merely “a handful” Republicans traveled to Jerusalem to mark the embassy opening. 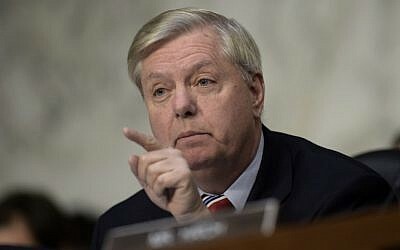 Graham, like Cruz a former GOP presidential candidate, said support for American recognition as Israel’s capital has always been bipartisan. “This has been the policy on the stump, forever,” he said. On Sunday evening, Israel’s Channel 10 reported that the US embassy in Israel had not extended any invites to Democratic lawmakers. But Cruz said no invitations were necessary for congressmen to attend the event. “None of us were invited,” he said, adding that his delegation came about when he asked three of his colleagues to come with him to Israel to attend the embassy’s opening in person. The other two GOP senators in the delegation are Mike Lee, of Utah, and Dean Heller, of Nevada. Also this week, Congressman Joe Wilson, of South Carolina, led a delegation of 10 Republican lawmakers to Israel. According to Israeli reporter Ariel Kahane, Wilson “opened his [delegation] to any member [of Congress] who wanted to come.” He cited “people involved in the process” as saying the Democratic leadership in Congress “blocked its members” from attending the embassy opening.